The Kirklees and Calderdale LinkedIn group gathered for an evening of drinks, chat and networking. There were attendenees from businesses around Kirklees and Calderdale who have joined the LinkedIn group. It is a chance to chat and discuss business in a relaxed atmosphere whilst enjoying a drink or two. 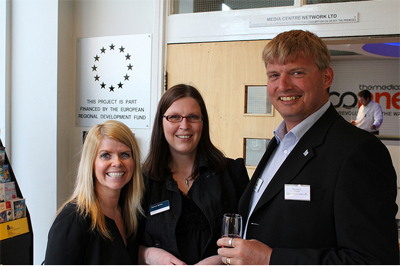 Check out the Kirklees and Calderdale LinkedIn drinks evening in images here. Posted on April 8, 2011, in Events and tagged Kirklees, Linked In, Networking. Bookmark the permalink. Leave a comment.